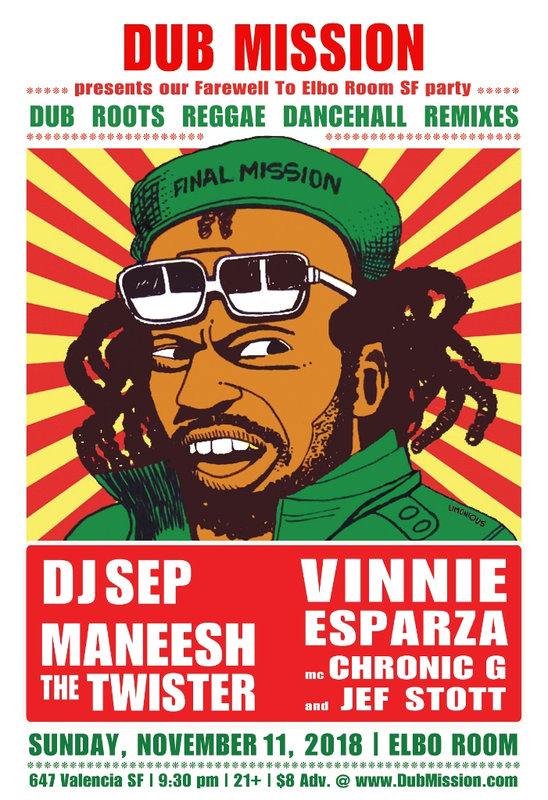 This show will be our last at Elbo Room’s San Francisco location before the club closes its doors on January 1st. 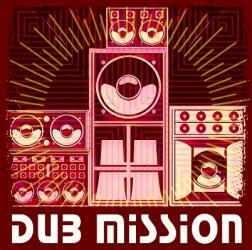 Now 22 years strong, Dub Mission is one of the longest-running parties in the world. 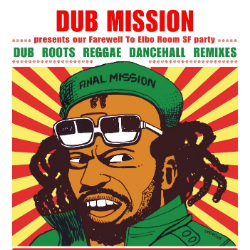 Voted Bay Area's Best Reggae Club four times in five years, Dub Mission has featured artists from all over the world, including The Scientist, Mad Professor & the Ariwa Sound System, Mungo's Hi Fi with Soom T and Solo Banton, Adrian Sherwood & the ON-U Sound System, Tippa Irie and Saxon Sound System, Prince Fatty Sound System, Radikal Guru, Zion Train, Twilight Circus Dub Sound System, DJ Vadim and many others.